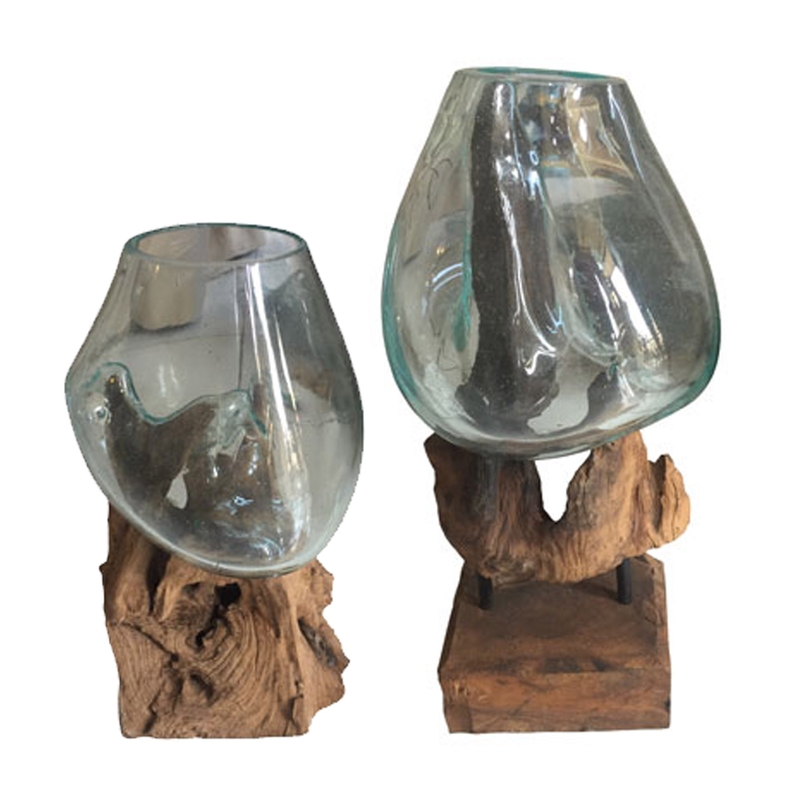 We are very proud to introduce this gorgeous Teak Root Bubble Glass On Stand Sculpture. This sculpture has a stunning design that features a teak root stand, given a lovely and original decoration. This stand holds up a bubble glass, contrasting with each other to create a very modern and eye-catching piece.